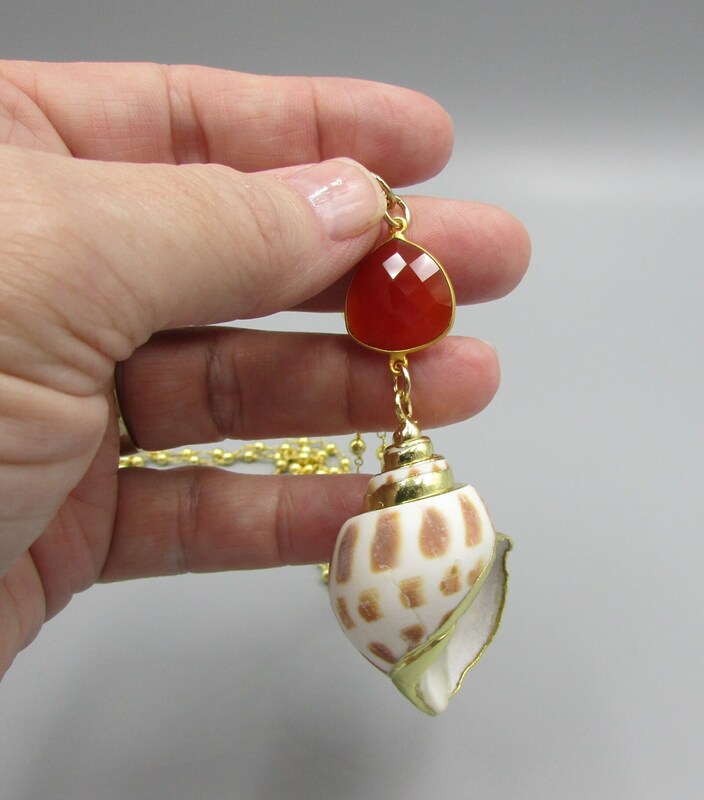 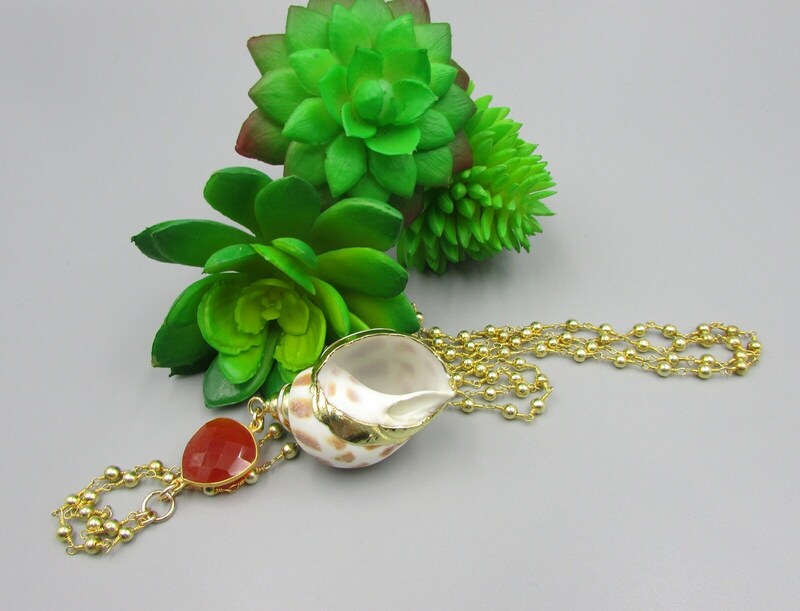 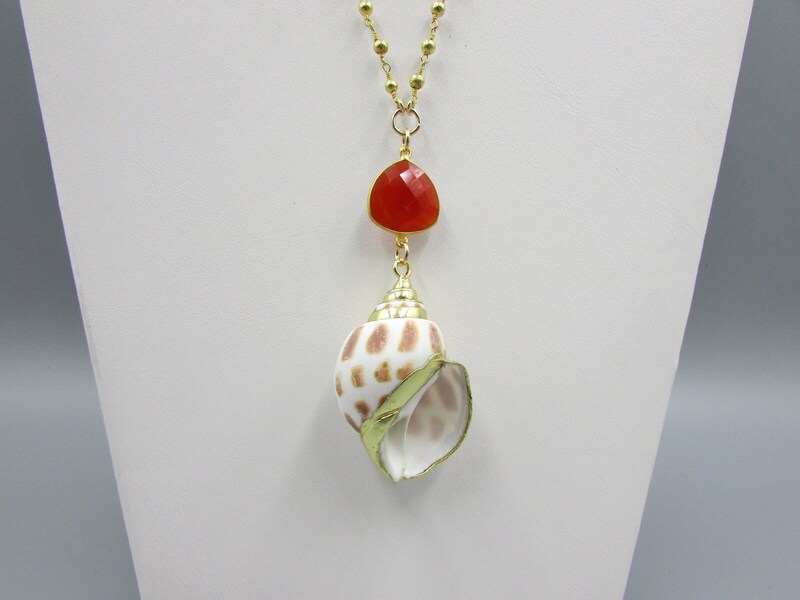 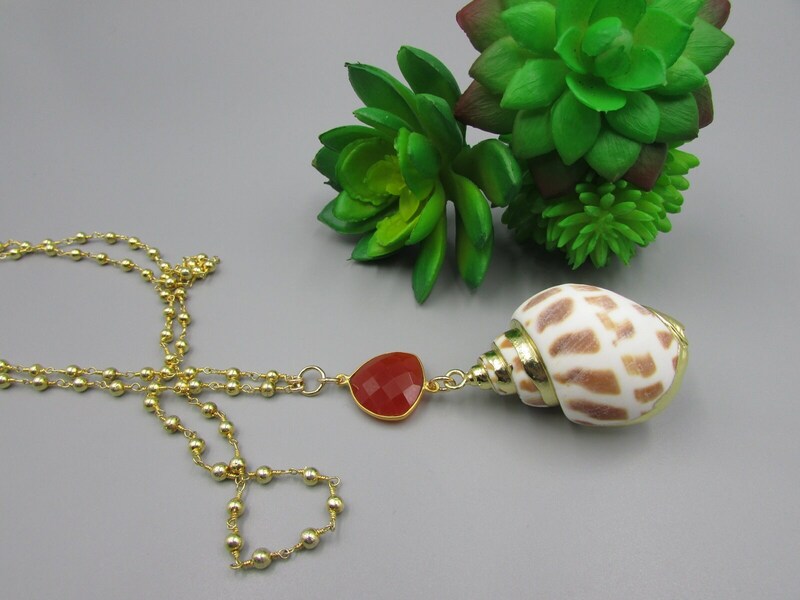 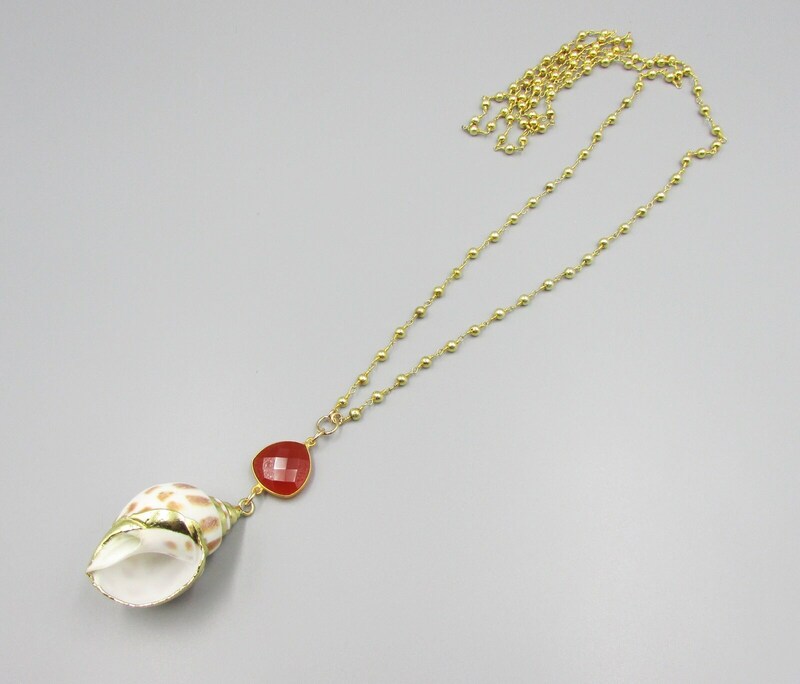 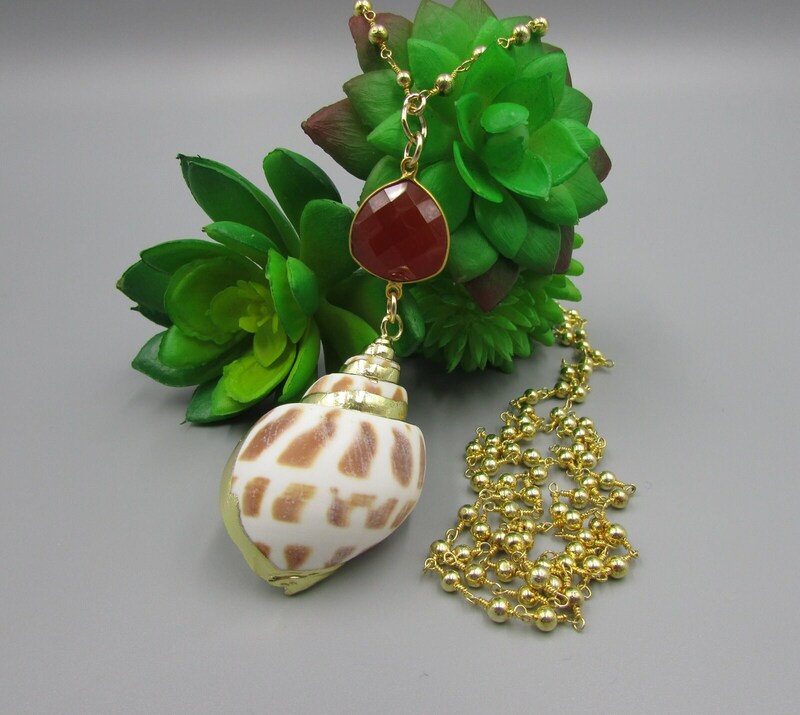 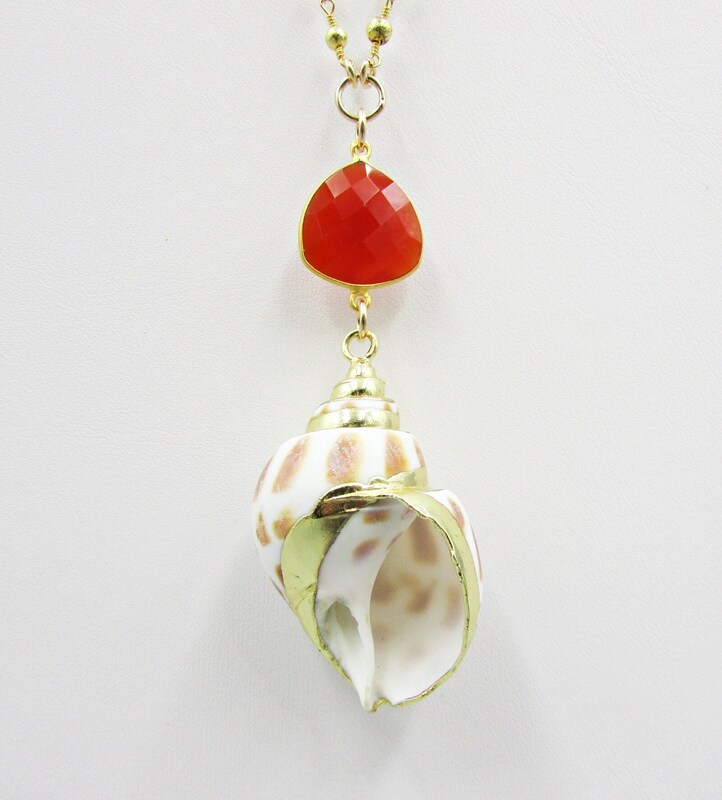 Beautiful and unique this long seashell pendant is created with 4mm smooth round gold pyrite rosary chain and the pendant is gold plated Babylonia Areolata polished shell pendant with 16mm gold plated carnelian connector. 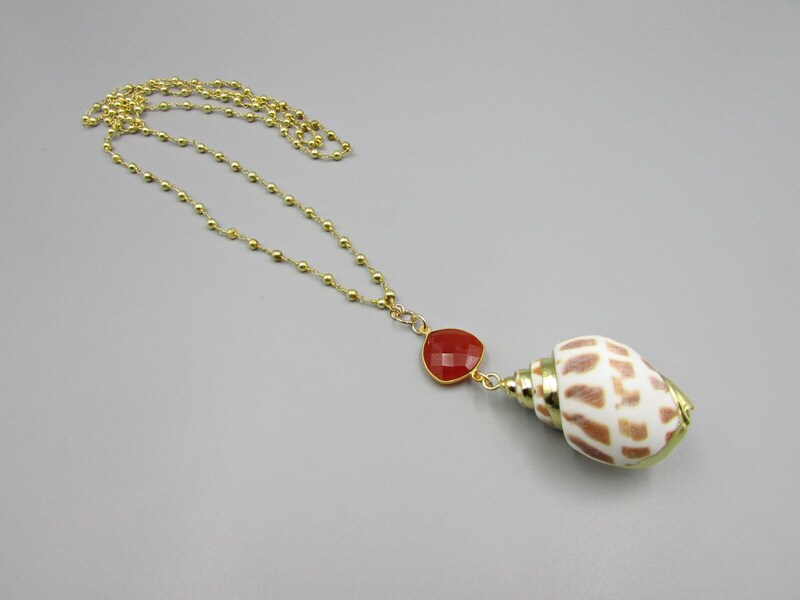 The necklace length is 16 inches, add the pendant which is 3 inches long. 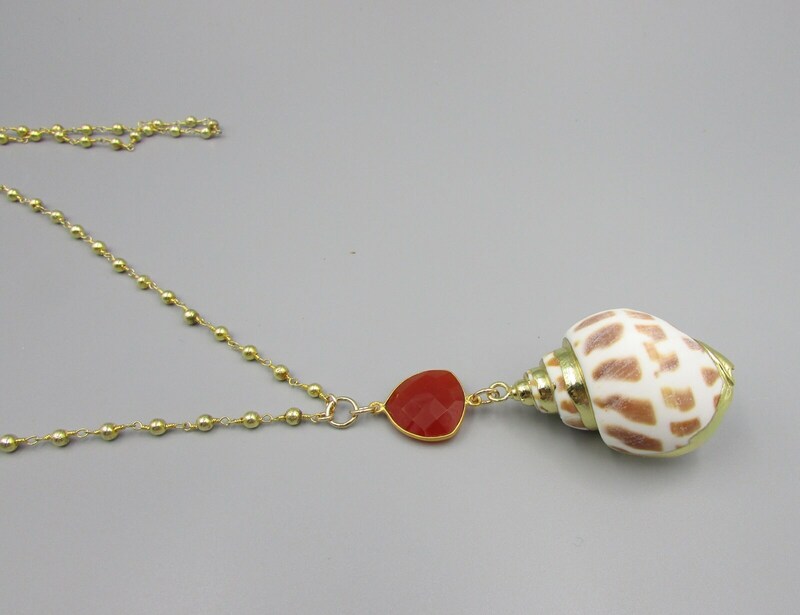 Findings are 14K gold filled. 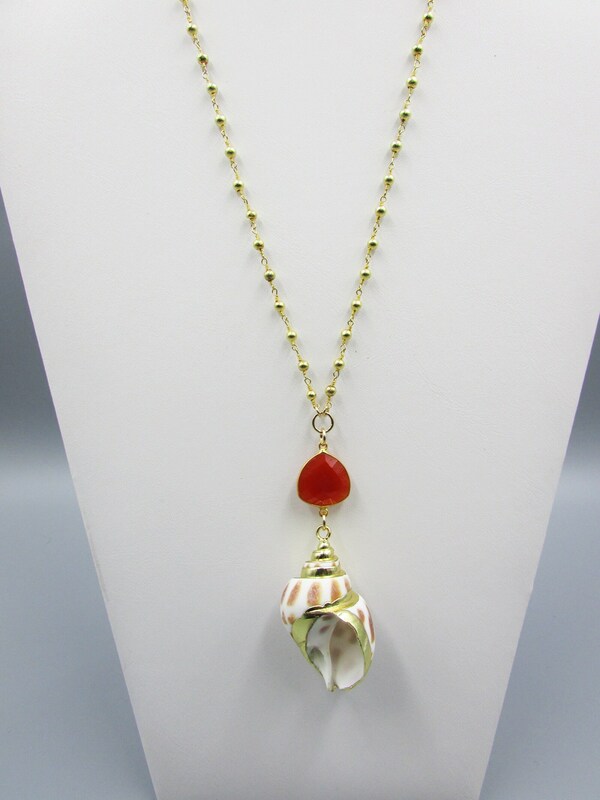 Perfect for stacking multiple necklaces of different lengths or alone.